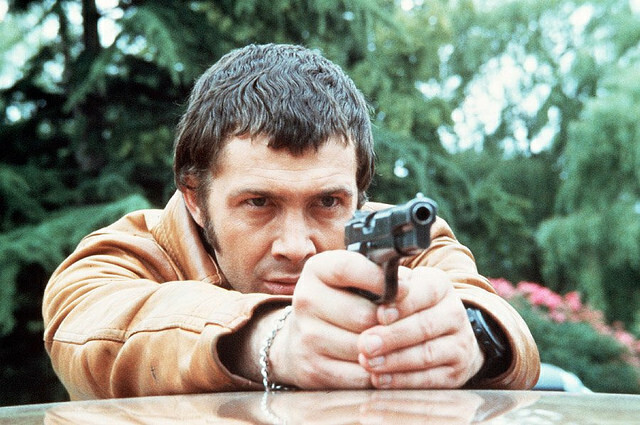 #336....."LEWIS COLLINS" - BODIE 3.7 . you'll never walk alone ! The bracelet was one of the first things I noticed and I thought the exact same thing. I figure they exchanged bracelets since they couldn't wear rings. Totally gorgeous (in a deadly kind of way). My hands are up! I love scenes with Bodie posing with his gun (steady now...) and this is a great example! Cheers for this. me too because he looks incredibly gorgeous even though he is a deadly agent of CI5 and the look of intent never waivers. he most certainly is and he would have me surrendering to him in seconds *g* no doubt about it. Bodie on a mission and looking fabulous doing it. Bodie doing what he does best....always. I always think if any one asked what Pros was like, I would show them pictures like these. i think this would sum up The Professionals perfectly don't you...the best of the best.